As you gaze into this painting, breath deeply, and take a moment to tune in to the Christ Light that dwells within yourself. 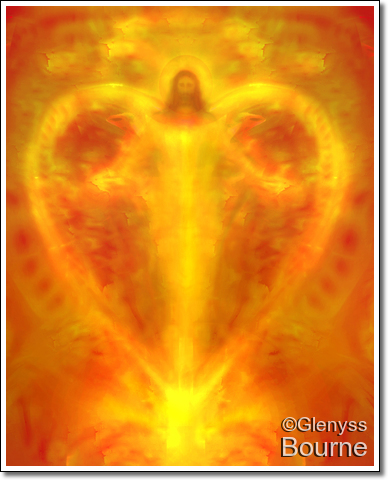 Become aware that the Sacred Heart of Jesus beats within you. Consciously draw upon the deep well of Unconditional Love that bubbles up from within, which will become stronger with each breath. Remember this feeling whenever you come upon any negativity in your life, and activate the feelings of peace and compassion within yourself. Lovingly send this Love to all who challenge you. This is the Sacred Heart of Jesus in action.